National Association of Realtors: "Home Sales Should Start Improving by the Summer"
The National Association of Realtors put out a press release today titled "Soft Existing-Home Sales Expected Near-Term But to Rise Midsummer". 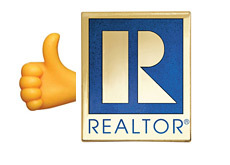 The National Association of Realtors (NAR) is a 1.2 million strong membership that is comprised of real estate agents, appraisers and everyone else involved in the real estate industry where a license is required. The press release stated that the NAR expects a flat pattern in home sales activity for the "next couple of months", and then they expect a pick-up in buying activity throughout the summer months. The NAR is hoping that banks and other lenders provide customers with access to affordable loans, as this will be a crucial part of any recovery in the real estate market. NAR President Richard Gaylord says that many prospective home buyers are actively looking for homes but are being hamstrung by restrictive lending requirements. The NAR predicts that existing home sales will likely total 5.39 million in 2008 and 5.72 million in 2009. They also predict that the aggregate existing home price in the United States will fall by 2.4% in 2008, mainly driven lower by extremely over-saturated markets such as Miami. Is the housing market on the verge of a turnaround? You have to come to your own conclusions. The National Association of Realtors is going to be understandably bullish on the housing market at all times, due to the fact that their entire membership is comprised of people who make their livings, directly or indirectly, selling real estate. It's not really a smart business move to say "We feel as though the housing market will continue to weaken."